At the Water's Edge will change the way you think about your place in the world. The awesome journey of life's transformation from the first microbes 4 billion years ago to Homo sapiens today is an epic that we are only now beginning to grasp. Magnificent and bizarre, it is the story of how we got here, what we left behind, and what we brought with us. We all know about evolution, but it still seems absurd that our ancestors were fish. Darwin's idea of natural selection was the key to solving generation-to-generation evolution -- microevolution -- but it could only point us toward a complete explanation, still to come, of the engines of macroevolution, the transformation of body shapes across millions of years. Now, drawing on the latest fossil discoveries and breakthrough scientific analysis, Carl Zimmer reveals how macroevolution works. Escorting us along the trail of discovery up to the current dramatic research in paleontology, ecology, genetics, and embryology, Zimmer shows how scientists today are unveiling the secrets of life that biologists struggled with two centuries ago. In this book, you will find a dazzling, brash literary talent and a rigorous scientific sensibility gracefully brought together. 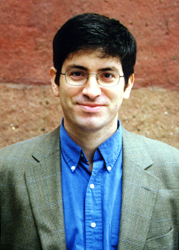 Carl Zimmer provides a comprehensive, lucid, and authoritative answer to the mystery of how nature actually made itself. In a basement laboratory in London a man contemplated a carcass. It was roughly the size and shape of a rolling pin, with a knife-edged tail, with fins like whiskers. Its eyes were the dark heads of pins, and its lips were full and sinful. The man stood tall and a little stooped, and although in 1839 he was only thirty-five, he had the kind of brown-eyed glare on which old failed prophets usually have a monopoly. He had seen the skin, guts, and bones of hundreds of animals that no Englishman had seen before, but few had irritated him more than this one. His name was Richard Owen -- not yet Sir Richard, but on his way there. He had grown up in Lancaster, and in boyhood his prospects had not seemed so good. His father, a ruined merchant, had died in the West Indies when Richard was five. A lazy, impudent boy, he joined the navy at fourteen, working as a surgeon's apprentice, but after the end of the War of 1812 peacetime offered little hope of a career, and so he returned to Scotland. He had loved heraldry, and it may have been while drawing unicorns and griffins that he first became interested in animal form. Again employed as a surgeon's apprentice, he began collecting skulls, beginning with dogs, cats, deer, and mice. But he wanted more bones. For a time he worked for a surgeon who performed autopsies on the dead prisoners at Hadrian's Tower. On a cold day in January the two of them paid a call to the prison, and after the autopsy the surgeon left Owen to clean up. This time Owen did not pack all the instruments. He left a few blades alongside the opened corpse, and handing the guard some coins, he told him that he needed to come back later. There was some extra business to attend to before the coffin was screwed shut. He returned in the frozen moonlight up the icy hill to the tower, bringing with him a strong brown paper bag. He nodded to the guard, who nodded back, and he climbed up the stairs to the autopsy room and shut the door as he went in. Before long he opened the door again, his paper bag full. He passed the guard again and told him that the inmate was ready. As he left the tower and began to walk back down the hill, his mind was filled with thoughts of facial angles and osseous tissues. The more he thought about the work he would enjoy at the surgery that night, the faster he walked. Suddenly his feet kicked out from under him. The bag swung away as he fell on the ice, its contents rolling free. He ran after it, down toward a cottage at the bottom of the hill, but he was too late. A woman inside heard a thump at the base of her front door. She opened it and before her was a disheveled, owl-eyed boy trying to stuff a freshly severed head into a bag. He ran with it all the way to the surgery, her screams flying after him. Owen went to the University of Edinburgh at age twenty, but he soon outstripped their classes -- within a year he was traveling to London with letters of introduction from his private tutors and got a position as a surgeon at a hospital. To be a doctor in London in the 1820s was as much a political act as a profession. The medical establishment -- including the city's hospitals and medical journals -- was controlled by physicians who generally had Tory sympathies. Allied with the physicians were the surgeons who performed dissections and held a lower position on the social ladder. Opposed to them were the general practitioners who were educated at small private colleges and were of a more radical egalitarian bent. Set on reforming medicine, they lambasted the elitism of physicians and surgeons wherever they could, in renegade medical journals or newspapers or Parliament. They fought fiercely for access to the library and museum of the Royal College of Surgeons. A famous British surgeon named John Hunter had amassed thousands of books and a collection of thirteen thousand pickled animals, disembodied hearts, limbs, bladders, spines, and other materials that laid out the patterns of anatomy, but after his death in 1793, the collection languished for years. The government bought it and entrusted it to the Royal College of Surgeons on the understanding that they would publish catalogs, keep a lecture series, and open the museum and library to the public. But for over twenty years the college had let in only its own, and the GPs crowed loudly until Parliament took notice. The college agreed to let licensed doctors in and to draw up an official catalog. Owen was hired to assist on the job, and when his superior died, the work became his alone. It was a labor that would keep him occupied for decades. At the same time he struggled to advance his own career as an anatomist, lecturing to medical students and winning the right to dissect the animals that died at the London zoo. It wasn't out of the ordinary to walk into Owen's house and find a freshly dead rhino parked in the hallway. In 1830 a sixty-one-year-old French baron, ailing yet imperious, came to the Hunterian Museum. Because Owen was the only one there who spoke French, it fell to him to tour the man around. His name was Georges Cuvier -- a professor at the National Museum of Natural History in Paris, and to Owen the sun in the sky. Like Owen, Cuvier had started as a shabby-genteel outsider, a German Protestant who wandered the hills around Montbéliard as a boy, picking plants that he would take home. There he would classify them according to the scheme of the eighteenth-century naturalist Carl Linnaeus, who had constructed the hierarchy of species, genus, family, order, class, phylum, and kingdom. Cuvier was supposed to become a bureaucrat in the Prussian government after he graduated, but he emerged out of the Stuttgart Academy among a huge bolus of aspiring bureaucrats. A job came his way only when a friend returned home to Montbéliard after finishing a stint as a tutor to a family in Normandy. He arranged for Cuvier to take his place. In Normandy Cuvier was treated more like a family servant than a tutor. He tried to console himself by thinking about the tour of Europe he was going to take his student on, and by studying whatever life he could find -- the plants in the town garden, a private store of exotic fish, another of oriental birds. But before his tour could begin, the French Revolution overran Paris and spread out into the countryside. His family fled to a village on the coast where Cuvier, now twenty-one, fell into almost complete solitude. He would walk the beach alone, collecting the animals that washed ashore, picking through the guts of skates that the fishermen would sell him. He wrote learned letters to the leading zoologists in Paris, and his reputation as a homegrown naturalist increased. After the revolution cooled, Cuvier visited Paris, where he stunned the scientists at the new National Museum with the knowledge he had taught himself. They were desperate for skilled help and hired him instantly. He was only twenty-three when he joined, but then again the man who invited him, a professor of zoology named Etienne Geoffroy Saint-Hilaire, was only twenty-one. "Come to Paris," Geoffroy wrote to him. "Come play among us the role of another legislator of natural history." It was a parliament founded by boys. By the age of thirty Cuvier had invented modern paleontology. People had collected fossils for centuries, yet even in the 1500s Europeans thought of them not as real skeletons but as some of the many forms a rock could take: some became emeralds, other became imitations of snail shells. Gradually naturalists recognized too many similarities between these stones and the bones of living animals, mineralogists realized how bone could be transmuted to rock, and the traditional view of fossils began to buckle. By the 1700s naturalists had found bones of everything from elephants to giant spiraled shellfish in the earth. Noah's flood, many of them decided, must have cast them to the tops of mountains. Cuvier studied fossils as seriously as living animals. Bringing a steady flow of bones to Paris from the limestone quarries outside the city, he prised them free of the rock and found among them elephants that were different from the species alive today. He could only conclude that they belonged to a species that was gone from the world. No one had seriously thought that an entire species could become extinct, but within a few years Cuvier had found rhino-sized sloths and tapirs that had also vanished. He realized that a single flood couldn't have washed away all the creatures he was finding: their fossils disappeared at different points in geological time, demonstrating that life had shuddered over and over again with violent revolutions. Each time a new kind of life had somehow come into existence. Whenever Cuvier looked at an animal, extinct or alive, he was overwhelmed by how all the parts fit together in a whole -- a single, unified organism. A bird was dedicated to flight in every aspect, from the fan of its tail feathers to its enormous lungs to its thin hollow bones. Substitute a bone from a barracuda into a bird skeleton, and the whole creature would be ruined. It was this dedication to function that could account for how different animals were similar to one another and could be fit into Linnaeus's classification. Since function dictated form, animals that functioned similarly looked alike. He divided animals into four major groups, based on how their nervous system -- to Cuvier the essence of an animal -- was laid out. Vertebrates had a brain and a spinal cord, the mollusks had a brain but no cord, others had barely a nervous system to speak of, and still others had systems that radiated out from a central nerve cluster. With such different architecture, each group could share no connection with the others, and the only reason that animals fell into a given category was that they happened to function in similar ways. It's no wonder then that Cuvier scorned the ideas of another scientist at the museum named Jean-Baptiste Lamarck, who argued that species actually changed over time -- that they evolved. When Lamarck looked at fossil mollusks he found that he could arrange some of them into a smoothly graded sequence through successive layers of rock. He claimed that in coping with a changing environment, a generation of creatures would undergo changes that they would pass on to their own offspring. Cuvier would have none of this transmutation. When Napoleon came home from Egypt with plundered mummies of cats and ibises thousands of years old, Cuvier compared them to living specimens and could find no significant difference. To him, life had a deeper order than Lamarckian evolution could allow. By the time Cuvier came to London and met young Owen, he had become a hero to France. "Is not Cuvier the greatest poet of our century?" asked Balzac. "Lord Byron reproduces mortal throes in verse, but our immortal naturalist has reconstructed worlds from a whitened bone. Cuvier is a poet by mere numbers. He stirs the void with no artificially magic utterance; he scoops out a fragment of gypsum, discovers a print-mark and cries out 'Behold!' -- and lo, the trees are animalized, death becomes life, the world unfolds." He was admired by the English as well, particularly by the sort of English who ran the College of Surgeons. The agitating general practitioners in London liked the idea of transmutating species and thought that humanity should strive upward, while the upper crust of scientific society preferred the idea that God had created fixed species on earth out of nothing. Their intricate designs were proof of his existence as much as a watch is proof of a watchmaker. And just as every animal had its place, higher or lower, in nature, people had their own place in society. Cuvier was therefore most welcome at the Hunterian Museum, and Owen must have managed to make a good impression on him during their short tour, because Cuvier invited him to Paris the next year. In Paris Owen spent mornings in Cuvier's collections searching for inspiration for how to organize the mess waiting for him back at the Hunterian Museum. The rest of his time he spent as a dandy, taking in the opera and violoncello lessons, with Saturday nights reserved for Cuvier's soirées -- the only time when the stony man would abandon politics and anatomy. Owen also went to meetings of the Academy of Sciences, where people were still buzzing about a debate that Cuvier, after coming back from London, had entered into with his old mentor Geoffroy Saint-Hilaire. Geoffroy and Cuvier had drifted far apart over the years. Cuvier liked to stick to facts, to avoid the sickened dreams of theory that weren't solidly embedded in the details of real zoology. Geoffroy meanwhile was enchanted by the work of German biologists and philosophers of the day, Romantics who hoped to find a hidden unity to all creation. He had never been much impressed by the classes and orders and kingdoms that scientists like Linnaeus and Cuvier depended on to categorize life. To Geoffroy they seemed arbitrary, since no division was absolute. Things that might make one cluster of animals unique could often be shown to be just the transformed structures of other beasts. A rhino's horn, he showed, was nothing more than a packed clump of hair. And if each species was perfectly created to fit its function, why had God left so many careless mistakes? Why does an ostrich have a wishbone, whose only function in birds is to help them fly? Geoffroy conceived instead of a wild German hallucination: that you could transform any animal, be it a dog, an ant, or a squid, into any other. The transformation might be painful -- to see the underlying similarity between a duck and a squid, you'd have to bend the duck's back into a horseshoe. Eventually Geoffroy decided that these transformations were not hypothetical -- they were a sign that evolution had changed old species into new ones. Perhaps, he suggested, the change in an environment changed the way embryos developed. Freaks might be the start of new species. Geoffroy knew that his theory went against everything that Cuvier held dear, and for ten years he tried to lure Cuvier into debate. Finally, after he gave a lecture showing how he could bend the back of a vertebrate and end up with an invertebrate, Cuvier accepted the challenge. Cuvier had become frustrated by how his own students were being seduced away by the German song of unity, how political revolutionaries were coming into vogue again, and decided that this was the time to stand against it. In a series of lectures, Cuvier used forty years of anatomy to mock Geoffroy's somersaults of bone and muscle. Cuvier was sure afterward that he had won the debates, but the real results weren't so clear. Owen was a case in point: listening to biologists argue the opposing views at the academy, he decided that Cuvier was right, but he still jotted down questions to ask himself. "Unity of Plan or Final Purpose, as a governing condition of organic development? Series of species, uninterrupted or broken by intervals? Primary life, by miracle or secondary law?" And within a decade he would try, in his own way, to reconcile the arguments of these two old Frenchmen. As Britain's colonial tendrils reached around the world, many of the animals they encountered came to the Hunterian Museum, and ultimately ended up under Owen's knife. In the years after he returned home from Paris, he dissected acouchis, Tibetan bears, kangaroos, tapirs, crocodiles, beavers, mandrills, toucans, cheetahs, hornbills, kinkajous, Indian antelopes, turkey buzzards, water clams, flamingos, armadillos -- both nine-banded and weasel-headed -- and parasites from a tiger's stomach. In his work he took special care to stomp out the dreams of Lamarckian transmutation. In the 1820s biologists had thought that the bizarre duck-billed platypus was in the same family of mammals as sloths and anteaters, but in later years stories had streamed from Australia that the animals laid eggs. What could be better proof of a transmuted species? Here was a living transition between egg-laying reptiles and live-bearing mammals. Geoffroy went on record delighting in the way the platypus bridged these two kinds of animals. In 1832, fresh from Paris, Owen confronted Geoffroy over the eggs. The evidence was vague; Owen couldn't find shell-secreting membranes for building the egg in the womb, nor did the pelvis seem wide enough to let an egg pass through. It was the ability of a mother to nurse her babies that Owen declared was the hallmark of all mammals, and he cut open hairless nestling babies to find coagulated milk in their stomachs and even found that glands in the mother's belly secreted it. Geoffroy admitted defeat. In fact, the platypus is both a milk-producing mammal and an egg-layer. Its eggs would not be discovered for years to come, but Owen could have easily noticed a special egg-cutting tooth in the mouths of platypus babies, just like that in the mouths of reptiles. If he did, he completely ignored it. In the 1830s English explorers brought back apes to London's Zoological Gardens for the first time. Most of the apes quickly died in their cages, and it was up to Owen to see what they looked like on the inside. Chimpanzees, with their childlike faces, had made a particularly big sensation in London and Paris; Lamarck had even suggested that chimpanzees could have produced the human race. If they should be forced to the ground they would lose their grasping big toes as they became used to walking. Once there they could stand erect, and after generations their calves would develop. With hands free, they would no longer need their jaws for weapons. Their snouts could shorten and their faces flatten, into our own image. Owen couldn't stand the thought that humans were nothing but upright apes, and even more important, he didn't think much of the science behind it. Geoffroy and other biologists had measured the angles of the faces of orangutans and chimps and had said that they formed a beautiful sequence of flattening that ended with our own flattened visages. But because apes in zoos always died before they matured, the biologists had been limited to studying baby chimpanzees. In 1835 Owen was the first to dissect an adult chimp, and he showed that any resemblance to humans didn't last long: as a chimp grew, its humanlike face bulged out with large, sharp teeth and brow ridges, until its facial angle swung far from our own. While Owen was busy preserving mankind by the slope of its brow, a naturalist named Johann Natterer was thrashing through the Amazon. Among the hundreds of animals he trapped, one that he found swimming in a river gave him particular pause. He was so confused by it, in fact, that he brought his specimens to Leopold Fitzinger, the curator of reptiles at the Imperial Museum in Vienna. They looked like fish, with gills and a fin, but when Fitzinger probed down their throats, he found what looked, absurdly, like the traces of a lung. Was this a fish or a reptile (a term that in Fitzinger's day included amphibians like frogs and newts)? No one had ever been forced to make such a distinction before -- after all, what distinction could be clearer? The only animals that had dared approach this division before were eel-shaped salamanders called sirens, which often lived underwater, breathing water with a feathery set of gill-like structures. Yet even they had legs and toes. Fitzinger settled on the title of reptile but only lightly, given how badly gutted his specimens had been -- "victims," in his words, "of Natterer's too passionately executed chase." Natterer himself had thought it was a fish, but he bowed to Fitzinger's expertise. He named the creature Lepidosiren paradoxa: lepido for the scales on its back, siren for the amphibians, and paradoxa for his confusion. In June 1837 another specimen came to the Royal College of Surgeons, but instead of the Amazon, this creature lived in the Gambia River in West Africa. During the dry season there, the creature dug itself a burrow a foot and a half deep in the mud, where it stayed for months. Owen's specimen came locked in a vault of clay. Inside was the same rolling-pin body, the lips, the whiskerlike legs that Natterer had found. But Owen hadn't yet heard about the reptile from the Amazon, and so he promptly gave his own creature a name: Protopterus anguilliform. Owen set the creature aside. If it had been a few years earlier, he would have given it his relentless attention, but fame and work were swallowing up his days. The Royal College of Surgeons tore down the old Hunterian Museum and built a bigger one in its place, with collections finer than Cuvier's. Owen won awards and gave lectures that London's high society now came to hear. And on top of all this came tons of new fossils, brought to Owen by a quiet, pug-faced naturalist names Charles Darwin. Darwin had gone to the University of Edinburgh a year after Owen, but the two of them met for the first time only in 1836, at the house of a mutual friend. There Darwin told Owen about the five-year trip around the world he had just completed and the treasures, such as hideous green lizards that leaped into the Pacific to eat seaweed, that he had brought home. He had also discovered giant mammal fossils from South America he couldn't make much sense of, and at the dinner he asked Owen to identify them. It would take years for Owen to finish with these bones, which he concluded were rhino-sized rodents and anteaters that outweighed horses. Often during that time Darwin would visit Owen at the college to talk about the fossils. Among the microscopes and jars of preserved animals, Owen would explain his idea that each species had its own organizing energy, one that couldn't be overstepped by some individual intent on founding a new one. Darwin kept quiet, his head steaming with new ideas he was afraid of sharing with anyone. Perhaps as they spoke Owen resented this lucky, quiet man. Here was Darwin, who had been born with enough family wealth to do as he pleased, who now made three times more money than Owen had achieved with all his struggling, who could stay out of the politics that Owen depended on for his livelihood. Owen was a museum man, but Darwin could afford to go on long voyages, to spend his days back in England doing little more than raising pigeons or chatting with dog breeders or strolling to the zoo to watch an orangutan as it threw tantrums. Owen meanwhile was so submerged in work that he discovered that for once someone had beaten him. The African creature he wanted to call Protopterus had already been found in the Amazon and already named Lepidosiren. Zoologists treasure the opportunity to name a species, as if it were handed down to them by Adam himself, and Owen was no exception. If anything, he felt more of a right than his peers. Owen was the English Cuvier, and he knew it -- he had become an arrogant, secretive, manipulative man -- and in his writing about Lepidosiren you can sense his resentment that such an important animal should be left to anyone else to name. "Since the time of Ornithorhynchus," he wrote (referring to the platypus), "there had not been submitted to naturalists a species which proved more strongly the necessity of a knowledge of its whole organization, both external and internal, in order to arrive at a correct view of its real nature and affinities than did the Lepidosiren." Owen decided to judge for himself what this animal was. In his basement laboratory he looked at its mouth, which held the strangest teeth he had ever seen -- two giant, ribbed crushing plates cemented to its palate. These alone would have made it an exceptional creature: fossils of an identical shape had been drifting through the scientific literature for over twenty years. They were gorgeous black polished things, which their first describer thought were broken off the end of a turtle's shell. Eventually they were recognized as being teeth belonging to a fish that lived during the Triassic period, which geologists would identify as being over 220 million years ago. And here the same teeth were in this living animal's head. "If indeed, the species had been known only by its skeleton," Owen wrote, "no one could have hesitated in referring it to the class of Fishes." But unlike the fossils, this species had dried flesh attached to it, and that made matters confusing. Owen slit open the dried, olive corpse, picking through the green bones. He laid out the gills from their bony struts so that they hung like mimosa leaves. Within its ribs, where some fish gave a gas-filled sac known as a swim bladder for controlling their buoyancy, Lepidosiren had long honeycombed bags that tangled into the heart. He could only call them lungs -- "for I know not how otherwise to designate, according to their physiological or morphological relations, those organs, which, in the technical language of ichthyologists would be termed the swim or air bladder." These lungs could only be for breathing air, and once again a transformationist might say that here was a transitional animal bridging the gap from fish to reptile. Because Owen did not believe in such transitions, he took particular care to figure out on which side of the border dividing fish and tetrapods the lungfish belonged. The brain resembled those of reptiles, and its wispy fins fit into its shoulders and hips like simplified legs. Lungs were surely the most tetrapodlike trait of Lepidosiren, the organs that let them survive on land, as opposed to gills which let fish breathe water. But Owen didn't want to reach such a conclusion, and he kept looking at the animal until he inspected the nose. In his specimen there was no passage connecting it to the mouth, which meant that Lepidosiren could only smell with it, as did all fishes. There was no way that it could be used for breathing, as in tetrapods on land. Owen had found the sign he needed. "In the organ of smell, we have at last a character which is absolute in reference to the distinction of Fishes from Reptiles," he declared. "In every Fish it is a shut sac communicating only with the external surface; in every Reptile it is a canal with both an internal and an external opening. According to this test, Lepidosiren is a Fish...not by its gills, not by its air bladders, not by its spiral intestine, not by its unossified skeleton, nor its extremities nor its skin nor its eyes nor its ears, but simply by its nose." Owen had wanted to save humanity from the company of beasts. Now we were more than fishes, thanks only to our noble nostrils. For twenty years after his encounter with Lepidosiren, Owen became even grander. He invented the word dinosaur, and he held a dinner at the Crystal Palace at which a table of luminaries sat inside the gut of a model of Iguanodon. He was knighted and moved from the Hunterian Museum to the newly built British Museum, where he superintended the natural history collections. William Gladstone and Charles Dickens were among his friends. Queen Victoria gave him a house and he tutored her children. And in that time Owen found a way to fuse the ideas of Cuvier and Geoffroy. Cuvier had insisted that function determined form, that there was no correspondence between the major groups of animals. But Owen decided that Geoffroy, who could see ways of turning any animal into any other, might have touched the core of life, even if his details were wrong. There was simply too much anatomy that Owen had held in his hands to be accounted for by getting this or that job done. You could talk about how the heads of mammals like ourselves are made of many bones that don't fuse until after birth, and how God had so providently arranged this so that our heads could slip out of narrow wombs. But why then could Owen find corresponding bones in a chicken or a lizard, which only had to break its way out of an egg to be born? There had to be a deeper relationship, which Owen called homology -- "the same organ in different animals under every variety of form and function" was his definition. Homology was what united the bones in the heads of birds and humans, but homology always had to be distinguished from analogy when different organs served the same purpose. Gliding lizards have long spars attached to each of their ribs, on which they hang a fleshy sail for parachuting from tree to tree. Gliding squirrels do the same thing with flaps of skin that stretch from arms to legs. Both animals can sail, but the anatomical parts that let them do it aren't homologies. When Owen looked at life this way, he could see homologies throughout the anatomies of all vertebrate animals. Ultimately, he decided, their bodies could all be considered elaborated spines. The basic vertebra was a spool surrounded by an arch above and below, and ribs protruding from the side. Every part of the vertebrate skeleton was a homology of some part of this bone, from chins to braincases to breastbones. Reducing all of these homologous bones to their simplest form, Owen drew what he imagined was the general plan for vertebrates, a lampreylike thing which he christened the Archetype. The Archetype was the blueprint that God referred to as He guided the history of life. As Cuvier had suggested, life passed through revolutions, and as it did, different modifications on the Archetype emerged -- first fishes, then reptiles, and then mammals. The only continuity they shared was in how they elaborated more and more on the Archetype. The lungfish, the animal that had puzzled Owen so much before, was actually the closest approach that fish made to the reptile form. Although Owen thought that new species appeared through time, he didn't accept Lamarck's idea of life as continual upward progression. To him the dinosaurs were clear proof of that: although they were reptiles, they were advanced creatures in their own right, and yet they had been followed by far less inspiring lizards, snakes, and other minor reptiles. Some might think that if God had not made animals perfectly adapted to their own ways of life then there could be no purpose to their anatomy. Perhaps they had formed by organic chance. "But from this Epicurean slough of despond every healthy mind naturally recoils," Owen wrote. The Archetype did have a function of its own, he decided, but something more noble than letting an animal trot. God must have had our own form in mind when He laid down the earliest vertebrate forms, and thus "its truer comprehension leads rational and responsible beings to a better conception of their own origin and Creator." Beneath Owen's pieties, he was secretly trying to figure out how species were in fact created organically. Churchmen might think that all the species alive today came from Noah's ark, but Owen couldn't help wondering how a flightless bird could get to a remote island in the Pacific. He would always consider Lamarck's strivings and Geoffroy's freaks to be laughable, but evolution might work by other ways. Populations of aphids would change completely from one generation to the next, all completely lacking wings, all turned asexual. Whatever rules of biology produced these changes might on rare occasion create new species at a stroke. Of course God was behind whatever mechanism created species, but science could discover it. Owen was always coy about these ideas of evolution. He had clawed for three decades to reach his social and scientific perch, and if he began to offer this sort of heresy in public, he might tumble from it. His secondary laws he simply called "creative acts." In 1859 coyness became obsolete: after twenty years of quiet puttering, Darwin published On the Origin of Species by Means of Natural Selection. Its genesis had come in July 1837, only a month after Richard Owen first laid eyes on Lepidosiren, when Darwin had opened a red notebook and begun sketching out his ideas for how species could be born. Although raising pigeons might have seemed an odd hobby for Darwin, they were his muses. He could make the birds change their anatomy dramatically in only a few generations simply by breeding only those birds that came closest to his specifications. Nature, Darwin had realized, was a breeder as well, although one without a conscious purpose. An animal faced horrendous odds in its life -- disease, predators, droughts, and the competition of the other members of its species. In every generation the individuals all vary in size, strength, and every other trait. Some of those traits would give an animal a slight reproductive edge over others. Admittedly the variations were small, but Darwin pointed out that the earth was much older than people had once thought, and so there was plenty of time for natural selection to work on life. If populations of a species became isolated and faced new challenges, natural selection would push them away from their ancestral form and into a new species. Despite what Owen might say, the fossil record showed that species didn't have any internal energy -- a certain species might last far longer than others, thanks only to its ability to outcompete other forms, Darwin decided. Life didn't climb a pole toward our own glorious humanity; it branched off into new species that branched off into newer ones. Some of the branches reached all the way up through time to today, while others had been clipped by extinction. Darwin's theory was powerful because it lacked the magic tricks of the old Lamarckians -- the inner striving, the passing on of characteristics acquired in life -- and because he could sweep up the ideas of others and fit them so elegantly into his own frame. He plundered Owen most shamelessly of all. "I look at Owen's Archetypes as more than ideal," he wrote in the margin of one of Owen's books, "as a real representation as far as the most consummate skill & loftiest generalization can represent the parent form of the Vertebrata." The homologies Owen saw among vertebrates were not traces of the divine template, but family resemblances. Owen didn't appreciate Darwin's twist: an English Cuvier ought not to be prelude to anyone. And when Darwin wrote how certain unnamed creationists imagined that species lurch out of the void, atoms miraculously turned to tissue, he was sure that Darwin was caricaturing himself. Making matters worse was the way that Darwin's champions -- people like the paleontologist Thomas Huxley -- made Owen the straw man for their evolutionary torches, misreading his objections to Darwin. Owen had become willing to accept that homologies were the result of inheritance, and even that humans might well evolve in the future into a new species altogether. But theories such as Darwin's that tried to explain how evolution could happen were nothing more than "guess-endeavors." Darwin had shown only that natural selection might explain life, not that it must. Worse yet, it was an ugly mechanism based on nothing more than random dyings and birthings, not some fundamental law. Shy and sick, Darwin stayed at his house in the countryside, receiving news of the fate of his idea in London's scientific circles as he raised his orchids and carnivorous sundews. Owen's and Darwin's followers scuffled on the academic platforms for the next fifteen years. It was a bitter fight, full of misreadings and insults that left most parties alienated. "I used to be ashamed of hating him so much," Darwin once wrote of Owen in a letter, "but now I will carefully cherish my hatred & contempt to the last day of my life." Owen worked against Darwin by continuing to try to separate humanity from the apes. Gorillas had recently come into English possession, and after dissecting them Owen declared that human brains had structures that not even these apes possessed. Since it was in the brain that the lofty mind of man resided, it made sense that the mark of his uniqueness should be found there as well. But in a series of public humiliations, Huxley displayed the results of new dissections of primates, and he showed that Owen had gotten his anatomy badly confused. To many opponents of Darwin such as Owen, the central horror of his theory was that humans are descended from apes. Yet the transition from apelike ancestors to humans was a late, minor change in our kaleidoscopic descent. At least an ape can walk and breathe air. At least it has hair and thumbs. For real alienation, go back to a fish. Who can see a kindred spirit in those flat button eyes? The flattened or elongated body, nothing more than a mouth driven forward by muscle? Darwin knew this well. He once wrote to a friend, "Our ancestor was an animal which breathed water, had a swim bladder, a great swimming tail, an imperfect skull, and undoubtedly was an hermaphrodite! Here is a pleasant genealogy for mankind." Repugnance aside, Darwin's opponents could have waved Lepidosiren over their heads to rally their forces. Getting a fish on land calls for inventing a radically new anatomy to adapt to a place that would normally kill it. How could the little changes of size and shape create complex structures altogether unprecedented, like legs and feet? And where were the intermediates, either alive or among fossils? Darwin had agonized over this problem himself, and in print. How could evolution, he asked, create something as complex as an eye? He could only suggest a pathway -- that a patch of light-sensitive cells had curled around into a cup and developed a lens. As evidence, he pointed out that all of the stages of this evolution actually existed and functioned in different animals, from flies to squid to humans. Here was a new kind of argument. A physicist can observe things like orbiting moons and falling cannonballs, find formulas to predict how any object is affected by a force such as gravity, and run experiments to test them. Before Darwin people thought of biology as a medical philosophy, a way to use bone and flesh to contemplate abstract concepts of classifications and connections; or a kind of zoological Christianity, in which all of the adaptations that organisms made to their surroundings were proof of God's omnipotence. Now Darwin was making biology an historical science. A living bird had its wings today thanks to an inconceivably long, twisted path of evolution that no one could ever hope to reduce to a formula or fully duplicate in some experiment. Nor could we find many transitional species alive to show that history, Darwin warned, because a successful new species would be likely to compete its parent species into oblivion, not to mention the various catastrophes that could wipe out a species. As for fossils, while the earth was a vast museum of bones, its collection was haphazardly chosen. We could only hope to find a few twigs of the tree of life. When Darwin died in 1882, Darwinism was ailing. A growing number of scientists were accepting evolution, but his version of it stood on wobbly legs. Gaps between different forms of life were still often vast, and Darwin's idea of heredity -- a sort of blending -- couldn't explain heredity as it actually took place. When Owen died ten years later, he may well have gone to the grave sure that if his own idea of evolution had lost, at least Darwin's hadn't won. It would be many decades before natural selection on a generation-by-generation scale -- what we now call microevolution -- was vindicated, and decades more before we began to understand heredity on the level of individual molecules. Deoxyribonucleic acid, better known as DNA, is a double-helix strand that is carried in every living cell of every organism except some viruses. It is composed of a twisted backbone of sugar molecules and phosphate that, if untangled, would stretch a yard long. Running between them are 3 billion rungs of information -- pairs of interlocking molecules known as nucleotides. They come in only four different forms, and serve as a brief alphabet for life's instructions. Floating close by the DNA are proteins that keep the strands wound up tightly and yet allow the nucleotides to be read easily. When signaling molecules arrive from the outside, other proteins lock onto stretches of the DNA and reproduce them in short strands. These copies are trundled to blob-shaped factories floating throughout the cell. At these sites still other proteins use this message as a template for hooking together little molecules called amino acids into proteins. Proteins are the bulk and labor of life: they become hair and skin and connective tissue and fingernails; they are also ferries for oxygen in the blood, digestors in the bowels, light-catchers in the eyes, and handlers of DNA itself. Life reproduces itself in many ways, but they all involve creating new DNA. In a woman, for example, all cells have two sets of genes that are almost identical, except the cells in her ovaries that ultimately become her eggs. When the time comes for one of these cells to take on its identity as an egg, its genes drape over each other, exchange sequences, and then split apart. The cell divides into eggs, and each one thus has only one set of genes instead of the normal two. A man's sperm likewise has one set of genes, and when it swims up to an egg and fuses with it, their genes combine into a full supply. A baby's new genes are not a blurring of mother and father but a mosaic made from each set. If it gets a particular gene from its mother, it will make the same protein that the gene made in her body. Heredity is the result of this mixing of intact genes rather than the blended frappé that Darwin imagined. Some single genes have great individual power, and they alone can give a baby traits like blue eyes. Others are subtle: they regulate the effects of other proteins, or cooperate with dozens of proteins on some task, such as making cell membranes sticky or slick. In these cases heredity is far harder to tease out. It is a beautiful system but far from perfect, and its imperfection lets evolution unfold. When sperm and eggs form and when their genes mingle, mistakes can creep in. A gene may get clipped short as it's being traded from chromosome to chromosome, or a base pair may be misread. A glitch in the code often makes no difference, but sometimes it may jam up a gene so that it cannot make a protein, and for want of that protein, bones turn brittle or blood thin, or babies are never born. On rarer occasions it can make a gene that does a better job than the older version, or a new job altogether. If that improvement gives an animal slightly better odds of surviving to adulthood, of mating, of raising its own offspring, it will spread through a population. If it is far superior, the new gene may become universal in a few generations; if it is only moderately better and another variant of the gene crops up frequently, it may simply dominate the population. Some mediocre genes are linked to good ones and are thus inherited along with them. Others can only work well if they're inherited as a group. Sometimes genes simply rise and fall randomly. In a big population this drift is usually only a minor flutter in the statistics, but in a small, isolated cluster of animals, a gene may end up swamping them for no particular evolutionary reason. Once biologists began to understand how genes mutate, they could finally grasp what had eluded Darwin about the way species actually originate. To make new species, they have found, you need to break down an old one. Say, for example, that a new stream splits up the crickets that live in a valley. They can no longer reach each other to mate, and so genes are circulated only within each group. As the genes mutate, as fitter forms appear or as they simply drift, the crickets become less and less alike. If the stream dries up allowing the two populations to mingle again after a few thousand years, the crickets may no longer be able to mate at all because their genes have become so incompatible. This is the simplest way biologists know to start a species, but there are many other possibilities, some with more evidence to back them up than others. Animals may initially become incompatible for nongenetic reasons: female crickets choose their mates by listening to their song, and the songs of males on each side of the stream might drift apart so much that the females on the other side find it unromantic. Speciation may happen quickly if the barrier breaks off only a fragment of the population. The gene pool becomes so uneven in a small group of animals that new gene combinations can sweep through them. On the other hand, some researchers suspect that speciation can occur without any split at all. As a species of cricket colonizes a region, the ones at the northern end may become able to withstand much colder winters than their southern cousins. If they mate with the less cold-adapted crickets, their offspring would be vulnerable to the winters, and so they would tend to stick to their own kind. Living side by side, they would become isolated and turn into two separate species. This combination of Darwin's ideas with twentieth-century genetics is known as neodarwinism. It describes the way that genes evolve, spread, and form new species so well that it is almost workaday. When biologists first proposed this explanation for microevolution, they showed that if you let it run for thousands or millions of generations, it could produce the changes in the fossil record. But in order for humanity to witness life's actual history, macroevolution had to become a science of its own. The first step was to figure out how organisms -- both living and long since turned to rock -- are related. When later biologists went back to the animals that Richard Owen had studied, they sometimes found mistakes in his work. Some were the result of a bad specimen; in others he simply chose to ignore some clue if it clashed with his own theories. As more specimens of Lepidosiren were studied it became clear, for example, that despite Owen's claims they did have nostrils -- or at least nostril-like passageways -- that connected into their mouths. Owen's dried specimen must have had a stuffed nose. Later scientists like the Irish anatomist Robert M'Donnel were left to agonize over their true identity. "It may be presumed that the Lepidosiren is invested with a peculiar interest in consequence of its, as it were, standing upon the boundary line between two great compartments of animal creation," he wrote in 1860. "It is in itself a proof of how almost imperceptible are the transitions from one class to another, as we ascend in the great scale of nature." M'Donnel had received an animal alive in its mud case from near Macarthy's Island on the Gambia River; it had been wrapped in a piece of sailcloth and packed in a box for seventy-six days. "On receiving it I was, of course, very anxious to know whether it was alive. I accordingly having opened the box, pushed a straw into the air hole as to touch it, whereupon it squeaked so loudly, as not only to give the unmistakable evidence of its existence, but to make me quickly draw back my hand, in fear lest I might be bitten." He proceeded to open its cocoon up; the mud was so hard he had to saw it in half. "During this process, the animal in reply produced vocal sounds, unquestionably voluntary, no doubt less musical than the fabled syren-song, but to my ears very agreeable." Inside was the fish, covered in a slough like dried birch leaves. He put it in a tank of water and watched it unroll itself and swim around vigorously. It never sang to him again. M'Donnell found that the nostrils in this animal were clearly crucial for letting it breathe when it was burrowed in its mud sac. In his opinion its heart was like a tadpole's, its lungs like a snake's. "I know of no animal more calculated leading to the adoption of the theory of Darwin, than the Lepidosiren." In other words, he didn't know what to call it. A third continent, Australia, offered up a cousin to Lepidosiren in 1870. This one was pale and broad, and like its relatives in Africa and South America, it had fins that anchored at the shoulders and hips like limbs. Unlike Lepidosiren, which had slender, whiplike fins, it had stout ones that contained branches of bone sprouting along a main axis. The Australian species, which rarely came out of water or breathed air, looked even more like an ancient fossil than the others; it dated back to the Devonian period, which lasted from 410 to 355 million years ago, when the earliest fishes appeared. And because of their deep genealogy, this lineage, collectively called lungfishes (or dipnoans, meaning "two lungs"), were pulled into the broader debate over evolution. As one skeptic wrote, "the supposition of some zoologists, who saw in Lepidosiren an instance of the latest step of advance attained by the struggling ichthyic type towards the higher class, that of Amphibians, is not confirmed; for we find that the Dipnoans reach back, with comparatively insignificant modifications, into one of the oldest epochs from which fish-remains are preserved." Yet Darwin never claimed that lungfish had given rise to our tetrapod ancestors. Instead, lungfish and tetrapods shared a close common ancestor in aquatic form, and the two lineages had taken different courses through history. By the end of the nineteenth century paleontologists had gotten a much clearer view of the early history of vertebrates. The most primitive vertebrates -- represented today by hagfish and lampreys -- lacked jaws and could only snuffle through underwater muck for their prey. Larger forms with jaws evolved about 450 million years ago, and the years that followed were a golden age for fishes. During the Devonian period, a diversity of vertebrates that's never been seen since filled the ocean: sharks with fins covered in teeth, armored placoderms, thirty-foot arthrodires, antiarchs with fins that looked like crab legs, and a riot of giant lungfishes. While most of these lineages have disappeared, four major groups that got their start in the Devonian are still alive, including the jawless fishes, sharks, and ray-finned fishes. Lungfishes are among the survivors of the fourth group, known as the lobe-finned fishes. They earned their name because, among other things they held in common, they all had fleshy fins with a few sturdy bones inside. And as paleontologists found fossils of other lobe-fins from the Devonian, they concluded that some might be even closer to the origin of tetrapods than lungfish. Lungfish limbs are certainly more like our own than a sturgeon's, but they also have some crucial differences. The shoulder joint of humans and all other tetrapods is a ball and socket with the top of the humerus the ball and the shoulder the socket. In lungfish, however, it's the shoulder that has the ball and the humerus the socket. Lungfishes have nostrils like tetrapods, but the bones that roof their skulls are great expanses of little prisms that look as if someone hit their heads with a mallet and then glued the pieces back together. For closer kin to ourselves paleontologists looked to newly discovered lobe-finned fish, such as one genus called Eusthenopteron. In the 1880s a farmer in Canada uncovered splendidly unsquashed Eusthenopteron fossils, and even better ones have turned up every few decades since. It might not have attracted Natterer's attention if he happened on it in a river; it could pass for an ordinary fish, with a body like a pike or a muskellunge, only belied by a squat head and stout lobes for fins. It controlled them with a set of small bones that were strikingly similar to our arms and legs. The bone closest to your shoulder is the humerus, and the two thin bones below the elbow are the radius and ulna; Eusthenopteron had compressed versions of the same combination of bones in its lobes. And rather than a smashed blur, its skull was a series of paired bones much like the ones that run from your nose to the back of your head. When the paleontologists compared bone with bone, noting how they abutted each other, they realized that they were homologies of the skull bones of the early amphibians. These homologies put lobe-fins such as Eusthenopteron close to the origin of tetrapods, but they weren't enough to reveal the full transformation. Many lobe-fins such as Eusthenopteron could bend the top of their skulls along a hinge that ran directly over their brains. By bending up their snout while lowering their jaw they could attack a fish with a bigger bite. Even the most primitive tetrapods couldn't do this trick because the bones that made up their braincases were firmly bonded together. And then there were matters like how tetrapods got a neck between head and shoulders, how they evolved elbows and knees and wrists and ankles and fingers and toes, to lose fins and gills. "Between the oldest known Amphibia, and all fishes," wrote one paleontologist in 1915, "there remain profound structural differences which are as yet unbridged by paleontological discovery." Paleontology is a science of casting about. The world is full of fossils, their unbelievable bodies frozen in a dying twitch or torn apart in the earth's crust, but the world is too wide and too covered over in mud and trees for us to hope to find many of them. Paleontologists need patience, whether they spend an afternoon walking across a desert floor or generations waiting for the discovery of a fossil to bring sense to fossils already found. By the early 1900s, it might have seemed that the earth had nothing more to say about how vertebrates first walked onto dry land. More Devonian lobe-fins came out of their tombs, but the oldest tetrapods dated back to the later Carboniferous era, separated by 60 million years. It was possible that the first tetrapod had appeared in the Devonian, but a century of fossil collecting in the Devonian rocks of England and elsewhere hadn't turned one up. A doomed balloon ride across the Arctic was the salvation that paleontology needed. In the 1890s European explorers still had not found the North Pole and were resorting to desperate means. Fridtjof Nansen of Sweden sailed directly into the congealing autumn Arctic so that his ship, the Fram, would be bound in ice and carried by the ocean currents toward the pole. For two and a half years he and his crew drifted with the pack, until it became clear that the Fram had stopped moving north and was moving east toward Europe. He leaped out of the ship and tried to sled up to the pole, only to discover that the ice he was now traveling on was moving south. Only four degrees away from true north, he bolted back for Franz Josef Land. The Fram drifted east for months before it broke free and the crew could sail south to the island of Spitsbergen. There on the bare flats they saw a giant balloon. Its pilot was a young Swedish engineer named Salamon Andrée. Andrée had decided that ships like the Fram could never reach the pole, and that flight offered the only hope. He had convinced the king of Sweden and Alfred Nobel to pay for a balloon, which he had brought by ship to Spitsbergen. There he mixed tons of sulfuric acid and zinc to create hydrogen gas, which filled his silk canopy for four days. But gales hit the island before he was ready to launch the balloon, and then the Fram arrived with stories of how Nansen was racing on sleds toward the pole. Andrée let the canopy fall back to the ground. When he got back to Sweden and discovered that Nansen had actually failed, he began to plot a second attempt. He returned to Spitsbergen in 1897 and this time he flew, but he did not need much time to realize that he would fail as well. For a few days he floated north with his crew of two, bobbing up and down with the sudden changes in temperature and moisture of the Arctic atmosphere. As he crossed over the edge of the polar ice the balloon became weighed down by rain and snow, until the guidelines dragged across the ice, until the gondola bounced like a ball on the ground, until the balloon came to rest. For a week the crew huddled in cramped fog. Andrée decided to pack sledges with food and a collapsible boat, which they dragged over the drifting ice. Hauling the sledges across sloshing leads they hoped that they could find refuge in Franz Josef Land. But the ice wandered in the wrong direction under their feet, and after two months of this polar treadmill they reached a little hump of Arctic rock called White Island. Thirty-seven years later whalers came to the island and discovered their decrepit boat, their journals, and Andrée's corpse still sitting in the snow. But in 1897, no one knew where Andrée had gone. His fellow Swedish scientists searched for him by ship in the following summers, first traveling around Spitsbergen and then heading to Greenland. As the pack ice opened, they traveled for eight weeks along its eastern edge in their sail- and steam-powered ship. They mapped the tentacled coast, and in one fjord along an elephant-backed mountain they named Celsius Berg, the explorers found bones. They weren't the bones of Andrée and his crew, however; they were the bones of lobe-fins, hundreds of millions of years old. These fossils had been found elsewhere in Devonian rocks, and to those who studied that era, it was as if a new continent suddenly appeared on the map: other Devonian rocks were hidden for the most part under a woody, bushy carpet in places like England and Pennsylvania, while the mountains of Greenland were mercilessly bare. Unfortunately the new fossils were also so remote that only some greater pretext -- like the search for a famous explorer -- could get the paleontologists to this far corner of the Arctic. Another rationale came about thirty years later in the late 1920s, when Denmark and Norway began competing for control of eastern Greenland and the oil and minerals that it might hold. The Danes brought Swedish scientists with them, and they found more bones belonging to lobe-fins, as well as a few things they didn't know what to make of, simply marking them as "scales of a fish-like vertebrate of uncertain affinities." These expeditions were only a little less brutal than Andrée's and Nansen's trips. The scientists still traveled in wooden steamers with three square-rigged masts, and while they could now bring a hydroplane for their surveys, they still wore polar bear suits when they flew. In 1931 an energetic twenty-two-year-old geologist named Gunnar S#228;ve-Söderbergh was put in charge of the expeditions. For sixteen hours a day he could climb mountains, throwing rocks into his rucksack and sketching out stratigraphy along the way. He had a book of numbered tags made for the expeditions, P. for fishes and A. for amphibians -- a supremely confident system, considering that no one had ever found a Devonian amphibian. That first summer, as S#228;ve-Söderbergh made his way around the northern slope of Celsius Berg, he found more fossils. In the cones of fallen rocks below the mountain's eastern plateau, he also found more than a dozen scraps of a flat skull that didn't look like any lobe-fin he had seen before. Optimistically, he marked them with A. tags. Back in Stockholm that fall, he slowly worked the bones free of the hard sandstone, using alcohol and balsam to reveal the sutures between the bones. Looking down on the flat roof of the skull, he could see that although some of the bones that made it up were patterned like those on a lobe-fin, it had a long snout and other features that only early tetrapods had. He realized that he had found the earliest tetrapod, and he named it Ichthyostega -- "fish plate" -- after the top of the animal's skull. The discovery was a great sensation in Denmark, not only with the politicians who wanted to tighten their grip on Greenland, but with the public as well. In celebration one newspaper cartoonist drew a trout with dog legs carrying a pipe-smoking caveman, while snakes encircled mountain peaks and elephants flapped their wings overhead. Säve-Söderbergh spent the following few summers mapping more of the region by foot, boat, and Icelandic horse. Fossils practically fell out of the rocks for him -- mostly fish but on rare occasions another piece of Ichthyostega. The strange scales that had been found in 1929 turned out to be Ichthyostega's ribs, massive and overlapping like venetian blinds of bone. His assistants, particularly a student from the University of Uppsala named Erik Jarvik, found more Ichthyostega skulls. One unearthed in 1934 was so handsome that the paleontologists brought it back across the Atlantic resting on a blue velvet pillow. After five years of these successes S#228;ve-Söderbergh was appointed a professor at the University of Uppsala, but in that year he was also diagnosed with tuberculosis. He lingered in bed, managing to write a few papers about some of the lobe-fins he had collected, and died in June 1948 at age 40. In the summer of S#228;ve-Söderbergh's death, the expedition to Greenland finally found the legs and shoulders and tail of Ichthyostega. At last it had most of a body. Jarvik, the expedition's expert on lobe-fins, was given the rocks and the task of reconstructing the animal. He could see that its legs, while short and squat, had the elbows, knees, ankles, wrists, and toes that qualified it as a tetrapod. He could find no sign of gills; its spine was sturdy, its hips and shoulders massive, its skull rigid. Yet Jarvik could make out a suture in the skull at the same place where, in a lobe-finned fish's skull, there was a hinge. Under the tetrapod palimpsest its ancestry could be seen. Its tail, on the other hand, was like a pennant reading FISH. Tetrapods have simple tails, a long series of tapering vertebrae encased in flesh (ours has dwindled to a mere sprout, the coccyx). A lobe-finned fish tail, which is the motor that the animal uses to move through water, is a much more elaborate affair. Each vertebra has two long rods, one on top and one below. Attached to each of these rods are more slender bones, called radials, and attached to the radials is a wide fan of fin rays: a completely different kind of bone called dermal bone that also makes up scales. This complex anatomy allows the lobe-fin to set up waves in its tail either forward or backward, to let it dart through the water or suddenly brake. The bottom of Ichthyostega's tail had a simplified tetrapod form, but the top still retained all the geegaws of a fish. It was, in a sense, still half in the water. With Jarvik's work, paleontology had two milestones on the path that led our ancestors from the water to land: Eusthenopteron, a lobe-fin with faint foreshadowings of our own bodies, and Ichthyostega, a basic tetrapod. It was not a pretty grandfather. Here was a three-foot-long beast, sprawling wide and dragging its tail along the ground, with eyes set on top of a head like a toilet bowl lid that could clap shut on prey, piercing it with its rows of fangs. Here indeed was a pleasant genealogy for humanity. Michael S. Y. Lee Nature One of the most fascinating topics in biology....[Zimmer] clearly understands the diverse scientific issues involved, and cuts through the scientific jargon so anyone can comprehend them. 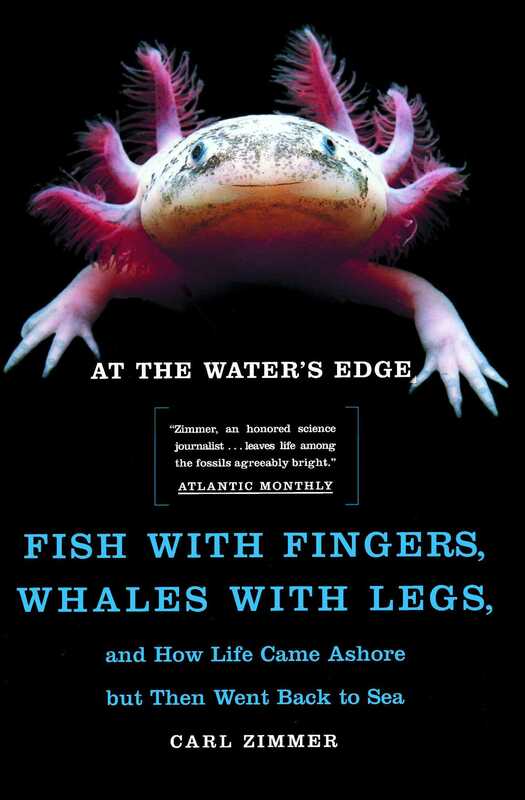 Philip Gingerich The New York Times Book Review Zimmer does a good job of explaining how profoundly different are the physiological and structural requirements of life in water compared to life on land. Booklist A fascinating story, which Zimmer unfolds as a tale of high-stakes scientific sleuthing...thanks to marvelously lucid writing. Publishers Weekly More than just an informative book about macroevolution itself, this is an entertaining history of ideas written with literary flair and technical rigor. Ernst Mayr Museum of Comparative Zoology, Harvard University Zimmer is a born storyteller and succeeds in giving us pure pleasure while at the same time teaching us up-to-date science. The Atlantic Monthly Zimmer, an honored science journalist...leaves life among the fossils agreeably bright. Kevin Padian Professor and Curator, Department of Integrative Biology and Museum of Paleontology, University of California, Berkeley Anyone with an interest in evolution should pick up this book to get on the cutting edge of discovery. James Shreeve author of The Neandertal Enigma From the first page Carl sets his book apart by diving straight into the most neglected, least understood mystery of all: how wholly new body plans and parts could have been created by natural forces that at first glance would seem to work to destroy innovation. Macroevolution is adaptation without a net. Carl's lucid, often lovely prose is making me finally understand how a species could pull it off without plunging into extinction. He is also very deft at crafting quick-bear narrative out of the lives, inspirations, foibles and occasional dastardliness of the scientists who have pursued this question, both historically and in modern times. I fully expect that At the Water's Edge will do for macroevolution what Jon Weiner's The Beak of the Finch did for microevolution or David Quammen's The Song of the Dodo did for extinction. I'm sure the book is going to really soar. Peter Ward University of Washington, author of The End of Evolution This most compelling of evolutionary episodes is told with grace and style, Zimmer's book is a rock hammer blow to those who doubt that evolution is an understandable law of nature.